Westminster Savings is a proud supporter of ArtStarts at River Market, as part of their Project Better Balance program to provide access access to arts and active living opportunities in the communities they serve. Their support allows ArtStarts to offer free family arts workshops and performances in New Westminster every month. We're excited to share this video that Westminster Savings and Capitol Media created about the impact that ArtStarts at River Market is having in the community. We were thrilled to hear from both parents and kids about ArtStarts at River Market and being creative together means to them. It really does make the work we do behind the scenes here at ArtStarts come alive when we see the impact it has on families. Thanks to Westminster Savings for supporting ArtStarts at River Market and bringing the arts to families in BC! 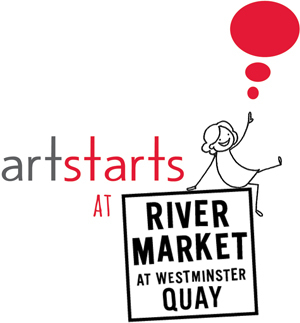 We look forward to seeing you at future ArtStarts at River Market events!